I had decided that i would give something to the first crowd funding campaign designed to support the rebuilding of the 8 recently burned black churches that appeared in any way interesting. I was not disappointed. Some of the most impressive scenes to come out of the Arab Spring uprisings were alternating displays of support from one religion to another. Christian defended Mosques. 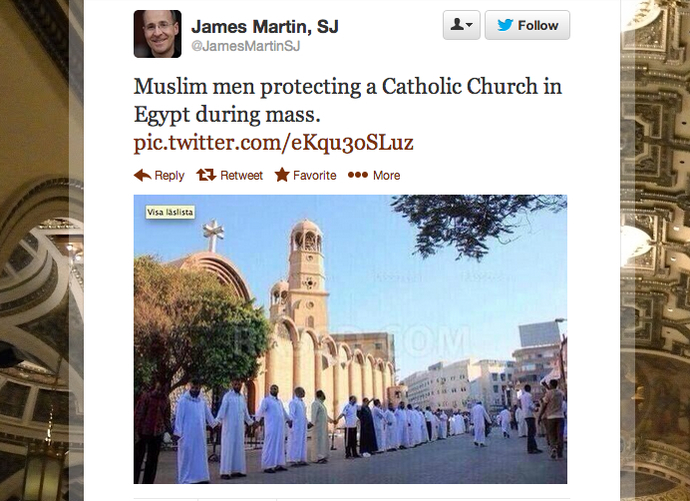 Muslims protecting churches during services. Three Muslim groups have had a smashingly successful crowd funding effort. With a short time horizon (designed to end with at the end of Ramadan) the initial $20K goal was quickly exceeded and now they are well on their way to $75K, with 8 days left in the campaign. You can donate here. i am not a Muslim, nor a Christian, nor black. So why should i even care? 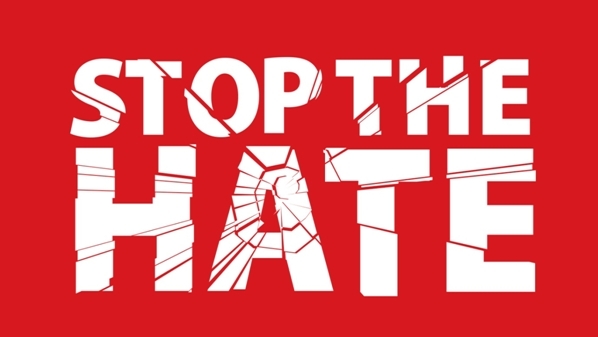 Hate crime is especially insidious and vexing. Pushing back against it is critically important. Muslims are targets in this country of endless discrimination large and small. I see it when every visually identifiable Muslim in an airport goes to secondary search. The ACLU has documented systematic discrimination by the NYPD. Simple minded americans (which there are a fair few in this country) are fond of making sweeping generalizations about Muslims that are both untrue and racist. Muslims taking the lead in helping to reconstruct black churches builds bonds between oppressed groups. It shows that the country is not simply going to drift into a race war because some lone gunman wanted it to happen. It is a constructive response to this spate of arson and shows solidarity in the face of trouble. Muhammad taught his followers to respect “people of the book”. i.e. jews, christians, other monotheists. “Infidel” applied to atheists and pagans. It was the roman church that first turned the muslim against christians.